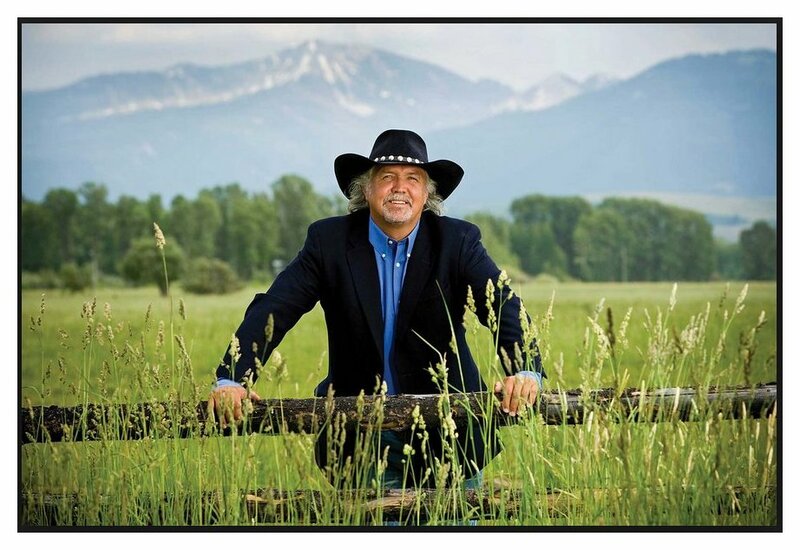 Donald Runnicles Interview with Bruce Duffie . 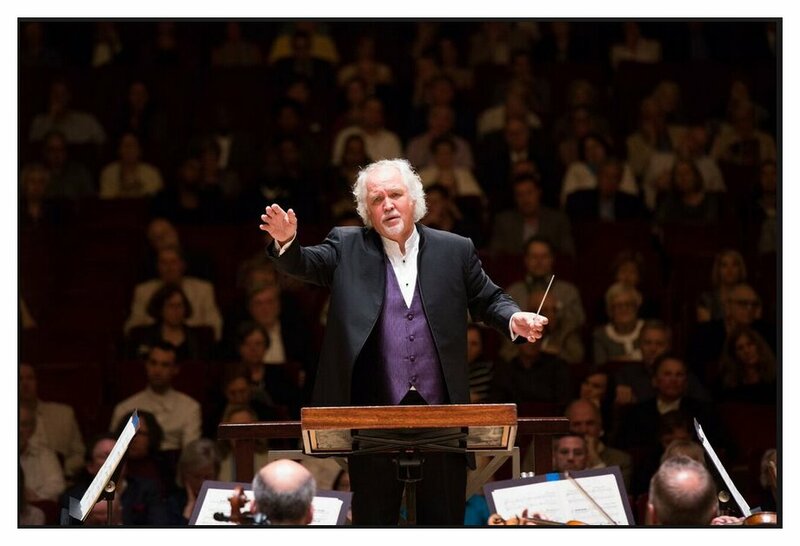 . . . . . .
Donald Runnicles is concurrently  the General Music Director of the Deutsche Oper Berlin (DOB), Chief Conductor of BBC Scottish Symphony Orchestra (BBC SSO), and Music Director of the Grand Teton Music Festival in Jackson, Wyoming, USA. 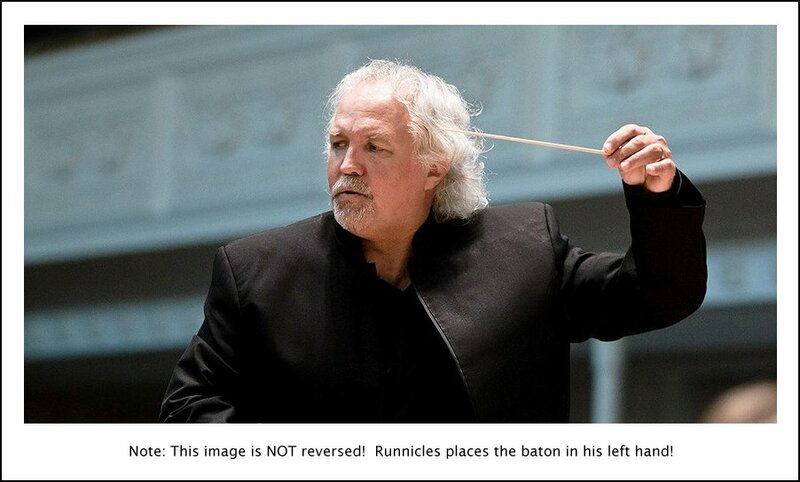 Mr. Runnicles is also Principal Guest Conductor of the Atlanta Symphony Orchestra (ASO). 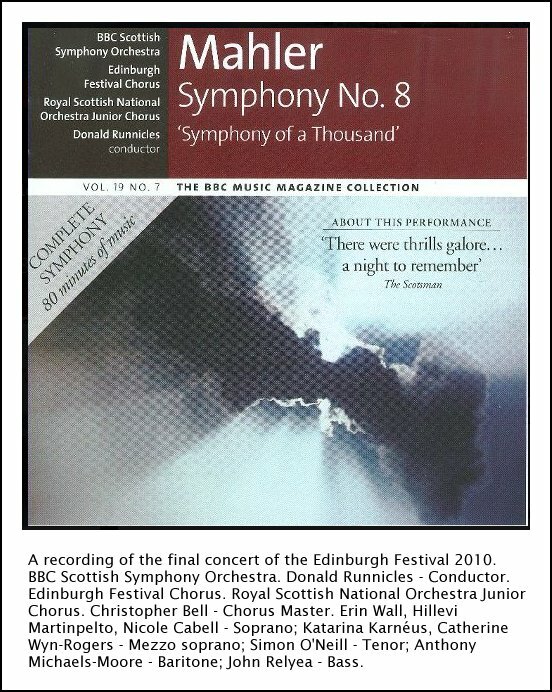 Born and raised in Edinburgh, Mr. Runnicles literally returned home to take up the post as Chief Conductor of the BBC Scottish Symphony Orchestra (BBC SSO). He conducts five of the BBC SSO’s main series programs in the orchestra’s Glasgow home, and gives concerts elsewhere throughout Scotland and northern England. He also leads the BBC SSO in two programs at the London Proms each summer, and conducts them for the Edinburgh International Festival, Scotland’s premiere international music and theatre festival. 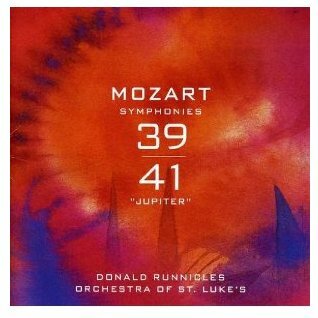 Through its BBC Radio 3 broadcasts, commercially released recordings on the Hyperion label, and acclaimed concerts at home and on tour, “The BBC SSO / Runnicles” has become one of the best known and most successful conductor/orchestra partnerships in the United Kingdom. Mr. Runnicles was born in Edinburgh and was educated there and at Cambridge. Following a season with the London Opera Centre, he began his career in Mannheim, Germany as repetiteur, and spent summers assisting in Bayreuth where he further honed and explored his Wagnerian disposition, and guesting throughout the German repertory theaters and orchestras. He made his North American debut in 1988 conducting Berg’s Lulu at the Metropolitan Opera, jumping in for an indisposed James Levine; in 1989 became General Music Director in Freiburg, Germany for three years, and to which he returned in 2010 to help honor and celebrate the Freiburg orchestra’s centennial. In 1990, after two Ring cycles at San Francisco Opera, he was asked to be its Music Director, and began the appointment two years later. Over the last two decades he has conducted at leading international opera houses, orchestras, and summer festivals including Bayreuth, Salzburg, Glyndebourne, Tanglewood and Ravinia. Long associated with the city of Vienna, he conducted many titles and performances for the city’s various theaters including new productions of Billy Budd and Die Tote Stadt at the Wiener Staatsoper, Vienna premieres of The Fiery Angel and Lady Macbeth of Mtsensk at the Volksoper, and most recently a new and acclaimed Vienna premiere of Benjamin Britten’s Death in Venice for the Theater an der Wien. Among the awards bestowed upon him are the Order of the British Empire (OBE) and honorary degrees from Edinburgh University, the San Francisco Conservatory of Music, an honorary doctorate from the Royal Scottish Academy of Music and Drama. On the first day of May, 1995, I met with Donald Runnicles for a conversation. He was making his first appearance with the Chicago Symphony Orchestra, in a program which held the Symphony #39 of Mozart, and The Planets by Gustav Holst. Most weeks during the subscription season of the CSO, there are three or four performances, but this time it was a ‘wrap-around’ series, meaning Thursday, Friday, Saturday, Sunday, and Tuesday . . . . . . . . .
Donald Runnicles: It’s the first time in my life I’ve done a concert five times! Bruce Duffie: Of course, operas get done more often. DR: Oh, yes. But in terms of almost five days in succession, that’s new. Unless you tour with an orchestra, it’s not so often, or you do five programs, but get cracking! With this program with this orchestra? I’d do it ten times! BD: That’s a compliment to us! BD: Are you mostly an opera conductor and sometimes a symphony conductor, or is it more evenly divided? DR: It has certainly become more evenly divided during the last six or seven years. I started conducting exclusively orchestral concerts when I was a student. I worked with amateur orchestras, and opera came later when I began to work professionally. Then I devoted myself almost entirely to opera because it’s just the amount of time required for opera productions. But I never lost sight of the symphonic repertoire, and now I’ve been in the privileged position of being able to re-establish more of a balance. I’d say it’s about sixty-forty in favor of opera. BD: When you left the symphonic world, did you like going into opera, or would you have rather stayed in the symphony world? DR: I enjoyed going into opera because I had often worked with voices, whether it was with choirs, or choruses or with single singers. I am a pianist by training, and I had worked with a lot of soloists, a lot of singers including a lot of young singers. Therefore, working with voices was nothing that was too far away from me, and I enjoyed it. After a very seminal experience with Richard Wagner, my world was turned upside down — or perhaps it was turned the right way up in terms of the fact that I knew that opera was a world in which I want to steep myself. BD: So you’re never going to leave that? DR: As long as people are interested in hearing my art, and as long as they enjoy it... The word ‘enjoy’ is understated. As long as I feel as passionate as I do about this art form, I’ll stay with it. BD: The question I often ask is how much is art and how much is entertainment, and does that change from the opera to the symphony? DR: I think there has to be an element of both. Perhaps not equal partners but music is, by its very nature, something which should invigorate, which should be able to make you smile, which should be able to make you feel emotional, which should be able to make you look inward. It is many, many things, and entertainment at its best also does that. ‘Entertainment’ is a word that is probably used and abused. We think perhaps too much of entertainment as being something for laughs, or something for cheap thrills. As I say, music can be very ‘entertaining’. It is, though, a remarkable art form, and unless you’re working in opera, the non-specific nature of music makes it extremely tantalizing and extremely laden with meaning which is open for each and every one of us to interpret. The non-specific music coming together with very specific opera, in terms of libretto and in terms of stage direction, makes for a fascinating duality, which the greatest of opera composers have always exploited. On one level — and this in answer to your question — music is entertainment in its widest sense and its broadest sense just as the spoken word is conveying action and can be a drama. The drama, though, is being commented upon and being interpreted by the unspoken word — that is to say, the music. Sometimes the music is at total odds to what is being said or sung on stage. Opera’s unique and multi-faceted quality is this dimension which makes it entertainment and art in one. BD: Do you find that the best operas are the ones where the text and the music do melt together, rather than being at odds? DR: Perhaps saying it is ‘at odds’ is a bad way of putting it. I mean that it is brought down to its basics, such as where a singer tries to convey to another character on stage that she’s perfectly all right. She says she feels fine, when it is so obvious in the music that something awful has happened to her, or in fact her thoughts are totally elsewhere. This is something that music is in a very unique position to convey to an audience. BD: That is conveying inner thoughts? DR: Yes, that’s what I mean. When I say ‘at odds’, I mean in terms of music contradict what is being said or sung on stage. BD: Let me build on this. Are there not some times when the music will be at odds with the text of the piece to show the true thoughts of the person? BD: Are the best operas the ones where that is conveyed well? And conversely, are there some operas — which can remain nameless — where they are at odds without any real purpose? DR: Yes, I think there are. I’ve certainly covered a wide range of repertoire, and there are pieces which end up a bit like a film. You sometimes think that the potential of a story, the potential of the opera’s there, but the music has not actually followed up that potential. For a while, the vogue in opera was to take a classic piece of literature and add music to it, and if not in direct odds to the piece, in no way living up to the subject matter. The fact that Verdi always steered clear of King Lear is not to do Aribert Reiman a disservice. But if anybody had been in a position to put that to music, I think Verdi would have been the man. But he himself realized that in that piece of music, there was a dimension which not even he could fulfill. Often great pieces of arts or great pieces of literature have not been held up by the music, and in that sense, yes, they’re at odds. BD: You’ve done quite a bit of Wagner. Is he a special case because he has created the scenario and the text and the music? DR: I think Wagner is certainly unique in his appeal, and also in the disgust that he tends to invoke in people due to the fact that he was a megalomaniac. This man was totally self-possessed and totally in his own world, where most of us would love to be able to say, “What an idiot!” And yet, this very so-called eccentric megalomaniac not only writes about what he intends to do, but he actually achieves it. There’s always an element of envy, I suppose, in any put-down of any art form or any colleague or any artist, and Richard Wagner has been much maligned because many people took exception to the fact that this man wrote what he intended doing, and left no stone unturned until he had done it! It has to also be taken as a special case because the alliterations of Wagner’s librettos are unique to Wagner, and the fact that he took himself so seriously. These things were actually read to his colleagues, who all sat in awe and probably had little to say. The fact that he thought these were of great literary merit was perhaps a little overdone, but they were so inter-winded and so inseparable from the music. Even in the writing of the libretto of his various operas — particularly the later ones like the Ring — the music is already there. Already, in reading the rhyme, in reading the verse and the meter, you sense that the music is not far away. That’s a unique marriage. I don’t think any of the Wagner librettos are anywhere near Boito or Da Ponte, but in a sense, if they had been great literary works as well, perhaps the whole thing would have been so overladen that it really would have become just too rich, too mind-blowing. Somehow that they complement so well that the final achievement, the point on which we have to retrospectively look at the whole thing. The final result, the product, is quite incredible. BD: Obviously he was writing it for his own music. He wasn’t writing it to be a literary text. DR: Yes, but I have been reading his letters, and just generally his feelings about himself. He also felt that these texts had a great literary merit that could stand by itself. If these people were to be brought down to the level of we mere mortals, would Richard Wagner have written all this music? Today it’s the chicken and the egg. Are they strange and extraordinary difficult because they’re brilliant, or do we treat them like that because they’re brilliant? Or if they were brought down to react and act in a normal way — what we term ‘act’ — would they have written that sort of music? BD: Are the music dramas of Wagner great because they hit you on all kinds of levels? You can go with very little or even no pre-knowledge, and be hit in the gut by at least the sound that is coming at you. Then you can study it further for thirty, or forty, or sixty, or eighty years, and still not get to the bottom of all of it! DR: I agree, and I think that most people, in their first encounter — close encounters of the Wagnerian kind! [Laughs] — they’re first meeting is on that level of just shear, “Ugh! Somebody hit me in the gut with the most extraordinary three-dimensional music I’ve ever heard!” I speak for myself, and I can speak for a number of people who I’ve subsequently met, who’ve been knocked over by Wagner. For myself, as a young student of seventeen, I heard a performance in Glasgow, in Scotland. I spoke no German, so I’d been given a brief synopsis of the piece by the school teacher with whom we made this excursion. But I went into this, and I just know that the sound word basically grabbed me by the throat and pulled me into it. That’s what spurred me then on to explore more of this world, then the language, then the literature. That, in fact, is what brought me to German repertoire in general. Wagner is very often a star gate through which people will encounter Bruckner, Mahler, Berg, Schoenberg, and Webern, and I think it is initially this gut reaction. Some people, though, react quite differently, and object to being almost manipulated, and feeling that they’re not totally in control of what that music just did to them. That has a lot to do with the person. If you’re open to that, then you can come along in the most extraordinary musical journeys possible. If you block it, then that’s says less about the music and probably more about yourself. BD: Is that not true about all music, or least all great music — that if you block it, you’re saying more about you and your distaste for something? DR: I don’t think it’s quite as dramatic if you are hit by Mozart, or if you are hit by Beethoven, or hit by Bach because for me, certainly in the case of Mozart and in the case of Bach, there’s an innate modesty about that music. There’s a feeling that Wagner brings something greater, a feeling that his is not a world of a megalomaniac, but another world of gods, dwarfs, myths, Heavens, and hells, all of which are in one sense larger than life. I don’t think there’s anything manipulative about what this Mozart 39th Symphony here in Chicago can do to you, but certainly one does think it is something very special. I don’t feel manipulated. I just feel as if this music is not wholly of this world. To Wagner, one has this reaction more that he set out intentionally to write this world populated by extraordinary beings, and the dimensions are huge, and are such that people may feel this is not my world at all. There’s a danger inherent in this. I have to be very careful about how I put this, but one can, to a certain extent, understand what may have happened in Adolph Hitler. This man saw in the music his temple, his ‘Valhalla’, the theatricality, this huge dimension. He also saw the world in which he wanted to live, and the world which he wished to create. It’s a world populated by supermen, and one can also be reviled by that. I don’t think that’s the reaction one would have to a Bruckner symphony or a Mozart symphony. BD: Is it perhaps that we lived through the Hitler era that it does take Wagner back one step? His music has made such an impact on all of us for so many years, and yet this makes us reconsider him a bit just to keep it at arms-length. DR: Though neither you nor I have lived through it, it’s horrendous that the whole Third Reich had to happen. The fact is that it did happen, and we can’t change what happened. I think you’re right that it gives us food for thought, that this manipulator can become almost like a drug under which control or influence one loses temporarily one’s own reason. I don’t wish to make too much of a point out of this because it’ a great disservice to Richard Wagner, because despite some of his anti-Semitic comments, they were more just opportunistic. “Why did Meyerbeer get that job and I didn’t?” Meyerbeer happened to be a Jew, and Wagner was not, and I don’t think it went any further than that. It’s a monstrous disservice that Richard Wagner associated these two, although I myself mentioned them in the same sentence. BD: Is there any correlation with what you’re saying and the fact that when it came to Parsifal he engaged a brilliant conductor, Hermann Levi? DR: I don’t think it’s a mere coincidence. Wagner recognized in Levi one of the finest exponents of his music, and ultimately the most important thing for Wagner was the music and conveying the message of the music. I quite agree. It is less for us, but in Germany, where I’ve spent a good fifteen years, it is very hard for some people to disassociate music from politics and from events that have happened to them. I know that many people will never ever listen to Les Preludes of Liszt again because of the connotations and associations. It was this piece of music which was used for the daily update in Germany about how well the war was going. That’s the extraordinary thing about music, the wonderful thing about music, but also the curse which is the world of association that it conjures up. BD: But Wagner would have no trouble with the fact that recent conductors at his Festival have included Solti, Levine, and Barenboim? DR: I don’t think he’d have any problem with that. In fact, basically the two pillars at the moment at Bayreuth are in fact James Levine and Daniel Barenboim, and it’s wonderful. I quite agree. I think Wagner would have been very proud. BD: When you’re working on an opera as conductor, how much do you get involved in the stage mechanics and the stage direction? DR: I try and get involved at a very early time, in the very early stage. In my position as conductor and Music Director of the San Francisco Opera, I find it very important to get together with the directors, the producers, to talk about the concept — how he or she sees the piece; where the emphases lie; is it to be updated; is it to be looked through contemporary eyes; is it to be done periodically or in traditional costume; what will the stage design be made of; is it acoustically advantageous; have you got a built-in catastrophe both literally and figuratively? There are all things to think about, and I don’t only see that as an obligation or as part of my job. I personally love it. It is that element of opera which I adore almost above all others, this feeling of (and there we are, once again, with Richard Wagner) the Gesamtkunstwerk, the whole picture of stage, pantomime, acting, music, singing, stage craft, the whole lot. It all comes together. It’s a little bit like what one often experiences in the cinema. The lights go down, and for three or four hours you’re transported into a different world. That still has its effect on me, and that’s why I like, at a very early stage, to meet with the people with whom I’ll be working closely. Happily not too often, but sometimes you meet directors, and with the best intentions in the world they may be wanting to convey something with that opera — a message or a meaning — that is at total odds with what I will be trying to work out with these singers. Or they may want to see it through a contemporary prism. BD: So you wait and see if you were convinced? DR: I have to be convinced, and I must say that happily it hasn’t happened. I can actually only think of one example where I knew, in the preliminary stage, that couldn’t let it go any further. Ultimately it’s going to be the artists who are going to be torn between the way I see the piece — the musical interpretation of it — and the more contemporary, slightly distorted, version of the piece of the director, and I don’t think it’s fair on the artists to put them through this. “Mummy wants this, and daddy want’s that!” They would be torn between the two, and then, as a Music Director, I’m in the position to be able to say that’s not going to be the stage-director with whom I’m going to be doing this piece! BD: Might you let the piece go to another conductor? DR: I either let the piece go, or else we would find another director. I don’t mean that in any sense arrogantly, to seem that I will do it as long as people are auditioned, but conductors and directors feel very strongly about pieces. 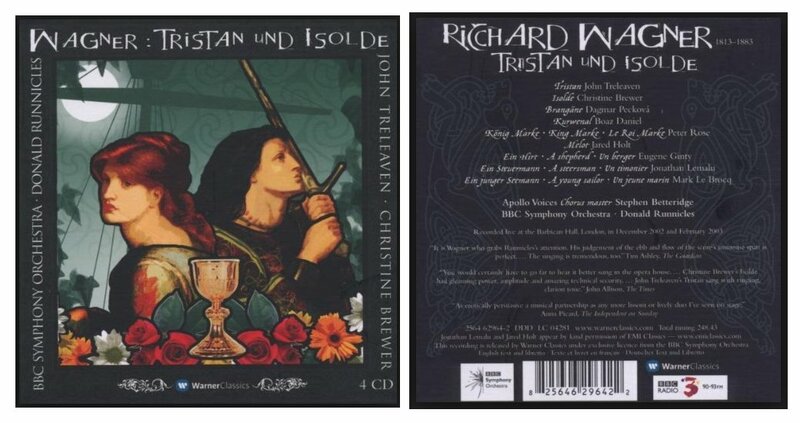 I recently saw a Tristan und Isolde which I personally disagreed with, and I know if I’d been in a position to say anything about it, I wouldn’t have done it. For all the validity of that production, I’d have looked up on the stage and felt, “What am I doing here! What am I trying to bring out of the music when I see almost the opposite of this on stage?” And an audience is very aware of that. An audience is far more perceptive than one perhaps gives them due credit for. They sense when there’s a dichotomy between the artists and the direction, or the conductor and the singers, or the conductor and the producer. BD: They may not be able to articulate it, but they feel uneasy? DR: They feel uneasy, and they may not be aware of it, but it may often have to do with a lack of focus in terms of the entire production. The conductor’s gone for one thing with tempi or with stress or with dynamics, and the director has gone for something different with a different kind of body language or a different kind of something or many, many things. It’s fascinating, but when it does all come together and does work, it makes for a quite unique evening. BD: Let me ask the Capriccio question. Not necessarily just for the Strauss opera, but in general, where is the balance between the music and the drama? DR: That opera leaves it hanging nicely in the balance. The glory of that piece, in fact, is that the music does in a sense have the last word, not only in terms of the Postlude, but also in the famous Moonlight Music towards the end of the opera. That conveys something that words cannot convey. Having said that though, it’s left open. They’re both basically equal partners. BD: Does the balance shift from something like a Barber of Seville to something like a Wozzeck? DR: [Pauses a moment] That’s hard to say. In a Barber of Seville, apart from the sheer traditions and devices appropriate to the time — that is to say the ‘Rossini finales’ where there’s many, many repetitions of a single word, basically for just the excitement of hearing this word repeated a lot of times, or for the very fact that it was a confusing situation — it’s an instrumental finale rather than a vocal one. You’re not supposed to understand every word. It’s more for its effect than its actual content, whereas in Wozzeck, you hang on to every word and — as far as I know and I may be wrong — no word is repeated. It’s a play, not with music, but it’s a play and it’s music at the same time. The German word ‘Musiktheater’ [pronounced MOO-zik-tay-AH-tehr] is best way of conveying it. Apart from the devices and the traditions of opera in the beginning of the nineteenth century and the middle of the twentieth, there is still a wonderful equality between music and words — even in the Barbiere! If you really can understand every word of Barbiere, it’s one of the great operas of all time. But you have to understand it, not just because of the witty patter, but the text is so incredibly witty too. BD: Should it be done in Italian for American audiences, or should it be translated, or do you like this new gimmick of the titles? DR: I wouldn’t call it a ‘gimmick!’ We all aspire to being able to know these languages and speak these languages, and I would hope those of us who are privileged to work in this profession would know enough about these languages to understand it without reading supertitles. But — and once again, it’s not in any way arrogantly meant — I don’t think one can assume that each and every one of us, or those in the audience who work extremely hard at many other different things, can be expected to know all of these languages inside out. Therefore, I don’t think the use of supertitles is in any way a gimmick. We have it in San Francisco, and we support it; I support it. Quite honestly, I wouldn’t want to sit through Boris Godunov or Khovanshchina of Mussorgsky without having that help. I don’t speak Russian! I wish I did. I can go through it phonetically, but I don’t speak it. There just isn’t enough time to get through all these languages, and on the other hand, I wouldn’t want to hear this indigenously Russian music sung in English, and that’s not for purely esoteric reasons. There is something about the Russian language — the way it’s sung, the way it’s articulated — that is inseparable from the music. The music and the words are one. This is a personal view, and I know that there are many other views. Even if Pelléas were sung in the most exquisite English and one would understand every word of it, there is a dimension of that piece which is the sound of the French language. I’m personally very happy that now the Metropolitan will be introducing supertitles, because I don’t think it’s a gimmick. If it’s done subtlety but also sensibility, those who really know their opera well don’t have to look at it. For those who need that little push, or just that indication, they have it there. It helps break down some of these esoteric, elitist barriers which opera — rightly or wrongly — has built around itself. I am for anything which helps to make it more accessible. I remember in San Francisco in 1990, the first time the Ring had been done with supertitles, they came, and it was an overwhelming reaction from the public. Many younger people who came and watched it were fascinated by it. I myself looked up, and it’s not that I didn’t know, but it reminded me of certain things. I guarantee that no matter how many of us really know and love Bohème, it’s almost impossible to catch each and every joke, and play on words in that piece. BD: We’ve had the supertitles here in Chicago for a number of years, and they have been overwhelming accepted and enjoyed. Even in the operas that I know well, I’ll always find a new detail, or a new something about it. 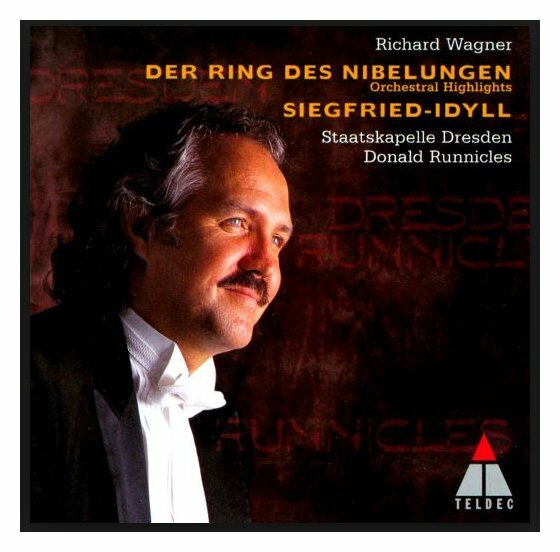 BD: In the case of Wagner, because of the pace of the Ring it’s almost like it’s a prompt. The text is there, and then you hear the music and the words coming at you... and they pace them just right so that the text comes across. DR: Right. You touched on something which is also very important — that there is an art to supertitles. There is somebody sitting up there who not only translates, but also abridges. Obviously you can’t give a literal translation, otherwise you’d be reading all the time. The timing of it though is terribly important, particularly in the case of a comedy. BD: Oh, it’s getting better and better all the time! BD: At first, just getting them up there was an enormous enough task, and it wasn’t always exactly right. Now it’s getting more subtle. In Figaro there were a couple of places where they had two titles, and one place where they had three titles, and they managed to have the right title over the right character! DR: Oh yes, particularly when you do Figaro finales and things like that. How on earth are you supposed to know who’s singing what and when? Wasn’t it here in Chicago where Peter Sellars had Tannhäuser where he had one kind of title for one idea and another kind for a different idea? BD: Yes. That was quite a production. The titles were in three colors. There was the straight translation, and then a kind of a raucous translation in a second color, and the third color was almost like a stage direction, or a philosophical idea, or something almost extraneous. BD: It was just so much more to take in. DR: Yes, which, then again, is the encouragement to go a second, third, fourth time. BD: The brilliance of Sellars was that he was able to do it and carry it through. So many of these ideas start, and then fall apart or peter out. But he carried all of his ideas through, and it worked. You could see at the end that it was still working. DR: Oh, he’s an emotional director. BD: Where’s opera going these days? DR: How long do we have? [Both laugh] I think opera has a bright, healthy future. The audiences are there if the marketing can develop and the departments do their job correctly, if we maintain standards, if we give enough attention to younger singers and to the training of younger singer, and to keeping certain younger singers longer associated with a certain house until they not only establish a feeling of an ensemble, but where they’re really ready to face that big bad world out there and not be lured and too prematurely by impresarios, conductors, agents, and the like. BD: Do you take your own advice? DR: Do I take my own advice??? [Amused by the question] I try to take my own advice! One of the advantages of having come up through the so-called ‘system’ has meant that I’ve worked a great deal with voices on different levels. And for goodness sake, I make many mistakes myself. But I feel a little bit more informed in giving younger singers advice because I’ve seen so often, just on first-hand experience, occasions where young singers have come to certain roles too soon. But if that training is taken seriously, with interesting and exciting direction, it has a good future. What I haven’t touched on is contemporary opera. Where is that going to come from? Is it coming thick and fast? Are we bringing pieces that in fifty years’ time will be regarded as classics? We can’t have the distance from what’s going on today as much as in Beethoven’s, or Mozart’s, or Bach’s day. The thought that Bach was basically put aside for over fifty years and almost rediscovered is inconceivable for us. See my Interviews with Paul Groves, and Robert Lloyd. BD: Does opera seem to be going on the right path today to have these good things happen eventually? DR: I think it is going on the right path, and I feel very confident about opera. But that is also because of the fact that so many little buds become the big trees in terms of the larger opera houses. We are now surrounded by these younger companies, and a lot of companies, particularly in this country whose seasons are perhaps not that long, but nevertheless that’s a good indication of the state of health. Still, it’s a continuing challenge to maintain opera as a viable art form, faced as we are with musicals, which are becoming bigger, better, even more precise, even more stunning. We are also confronted with television and with video games and with the compact disc, all of which have a certain perfection. When you press that repeat button and select button, you can have that perfection because it’s all been spliced rather cleverly, twenty or thirty times one after the other! That is a big challenge for live opera, and the difference has to be constantly made clear, and that work starts in schools, with school programs, and just getting it into schools. Children are all terribly good at many things. Once upon a time we all were terribly good at looking at a box of Legos and making something out of very ordinary four-squared bricks. For one child it was church, for another child it was a car. The danger is when we lose that. This is not to say that opera is just lots of bricks, but there is an element of illusion. There is a feeling when the lights go down you have to suspend your belief, and there’s something child-like about that. In our striving for perfection, some people may think that opera has to be that perfect. When up on stage and one’s talking about silk, you should see silk. We know that through very good lighting, sometimes you don’t need anything at all on stage, and people see things because they use their own imagination. That’s what I mean about this correlating with the vision of a child. Opera has to maintain itself as quite unique. Finally, one has to remember that when a conductor comes in at the beginning of a performance, that nothing is guaranteed! [Laughs] He comes in, puts his baton down, and when the first beat comes down there is no guarantee in the world that from that point to the end of the opera, four and half hours later, that anything will work, anything will be together, anyone will play correctly, the stage-hands will get it right, or the lighting get it right. BD: And yet the public expects this! DR: They expect it but they often have to remember that it’s a miracle, absolutely a miracle! I love videos and I love film. I’m not putting them down, but a film you can watch as often as you like. It’s there! There’s no invention. You know every time it’s going to be the same! BD: And yet we’re getting into technology like this virtual reality, where you can reinterpret films or put yourselves into the films. Is this going to be a good thing for the opera where you can be your own conductor or be your own stage director? DR: I think that’s good. Not to blow our own trumpet, but we’ve become involved in something called ‘Opera Inside Out’. This is a program where some of our singers from the San Francisco Opera Center go to schools, and they present an opera. It will be something very basic like second act of La Bohème, because it’s fairy self-contained. Plus, it has been arranged beforehand among the singers to have a multiple choice of endings for the act. The children themselves get a chance to say, “No, I’d like this to happen! I’d like Musetta to do that! No, I’d like Marcello to do that!” It’s fantastic training as well for the singers to improvise there and then on the spot. This is done to music. BD: The singers have five ways to do this and five ways to do that, and the children pick one? DR: No, no, no! They’re encouraged to improvise the situation. The school classes are given a feeling of virtual reality of being their own directors, being their own conductors, being their own singers. BD: So it’s more than simply voting thumbs up or thumbs down for the tenor to be damned or redeemed at the end of Faust? DR: [Has a big laugh] It’s a lot more than that! The interesting follow-up is that this coming summer we have a program where the schools have in fact composed their own operas. These children got together and have written this stuff. We were talking about the health of opera, and that’s a very encouraging sign. I think that is what you meant by getting involved with this virtual reality, bringing these youngsters into the opera house and then giving the option. What happens at the end of Bohème if a doctor came in, gave Mimì an injection and she got better? What would happen then? Would you like that, or do you think Mimì should in fact die? These were things presented to these youngsters, and they came up with the most serious and most viable solutions. In a sense, that is a sort of virtual reality, and I hope we can continue to do it. DR: That’s right. I’ve made quite a few radio recordings but now we’ve signed up with Teldec and Hansel is the first one. I’m going out to San Francisco to record Gluck’s Orphée with Jennifer Larmore, Alison Hagley, and Dawn Upshaw. Then I have a couple of symphonics next year with Dresden Staatskapelle and the Bayerische Rundfunk. When it comes to making recordings, I still look upon them as something for eternity. So before committing things to a disc, I want to make sure that I have something to say about the works. This is why I waited a bit before signing on with Teldec. BD: Aside from the painfully obvious, what is the real difference between conducting an opera in the pit, and the conducting an orchestra on the stage? DR: One of the differences is the discipline of rehearsing a symphonic program in two days under the constraints of time, and rehearsing an opera production over a period of perhaps ten days or two weeks. In terms of work with the orchestra, this is not only a financial consideration, it is also just a time constraint, and it certainly sharpens your sense. It certainly makes you perhaps a little more selective in what you rehearse, realizing that if you played everything through twice, you’d basically used up your rehearsal time. So one has to be selective, which means that while you’re conducting, a lot of thoughts are going through your head — what would be better the second time without having to repeat it, what needs to be said, and so on. BD: Do you have to come even more prepared? DR: I wouldn’t like to give the impression that in an opera you can wander in and basically crack the score open for the first time! DR: But of course there are more constituents which go to making that opera, or which create the final version. It’s not only bringing my own thoughts to an opera, but it’s the singers coming with their thoughts, which are totally viable and perhaps a little different to mine. That’s one of the joys of coming together in that. Then there is a director who, so to speak, orchestrates your thoughts in certain ways, and that whole process needs time. Like a good wine, it needs somehow to ferment. That is not to say that music working with a symphonic orchestra needs less time to ferment, but there’s less time involved. There is an orchestra, there’s a conductor, there may be a soloist, but you can work faster, basically. BD: Especially in symphonic works, is all your work done at rehearsal, or do you specifically leave something for the spark and the inspiration of the evening? DR: I don’t know if one consciously leaves something for the evening. In a rehearsal process you are listening a great deal. You’re thinking and you’re planning. You might have fifteen more minutes in the rehearsal, and you have twenty minutes more music to do, or you might have fifteen more minutes of work and five minutes left to do it. So should you go back and be specific and repeat? When it comes to the performance, it’s not that we forget what we’ve rehearsed, but there’s a constraint — or a restraint perhaps — a physical one which falls from you because you all just want to make good music. That is something which orchestras are aware of, and it’s wonderful if one has the feeling that you’ve rehearsed a lot, but there’s something also there for the performance. It is not that you do leave something specifically. You are not planning to take this a lot faster at the performance. I don’t mean that you are springing surprises. Each and every orchestra has its own personality, and it’s important for a conductor, when he or she comes, not to do a great deal of talking, not to initially do a great deal of interrupting. One should just be listening to that orchestra because that orchestra, particularly the Chicago Symphony, is a remarkable instrument. BD: You have to learn it? DR: Yes. First of all, you have to learn it. You get to know this orchestra, and each and every one of that orchestra is a remarkable musician, and they bring their own expertise, their own personality. That could be one of the most wonderfully satisfying elements of a conductor’s experience is that no two orchestras are the same. It’s channeling that, and realizing that in the spur of the moment the way that they do a phrase is in fact a lot better than the way I was intending on doing it. It’s making split second decisions like that, even while they’re playing, that makes it. In terms of leaving something from the rehearsal or somethings for the performance, there is a dimension which you can only find when you stand up in front of that orchestra. It’s called chemistry, and it works sometimes, and sometimes it doesn’t. BD: Does this alter either how you play or what you select when it’s an orchestra you are coming back to, or perhaps your own orchestra? DR: I think so, yes. There may be some things in an orchestra which you adore — the sonority, the virtuosity — and, if one’s lucky enough to be invited back, you think about a piece you’d love to do with this orchestra! Pieces spring to mind immediately, so the answer to your question is yes! BD: From the vast array of symphonic literature, how do you decide which pieces you are going to learn, and then work with whatever orchestra is available? DR: It’s not normally a carte blanche situation very much. If you’re Music Director of an orchestra then, of course, you usually have first crack of the whip. 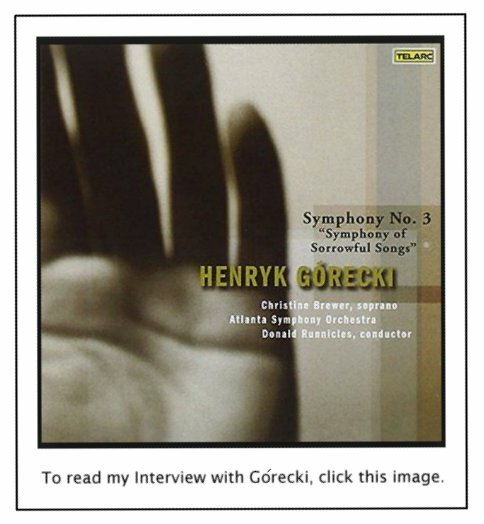 As a guest conductor, one is approached by the orchestra or the artistic administrator, and given a fair idea of what is otherwise in the program for the year. The Music Director I am sure will have already made his or her wishes clear, and then their task is to find good repertoire which adds to the season, but at the same time shows off the guest conductor in his or her best light — not just because it fills the hall but also because the conductor feels good about doing it. Personally I enjoy programs that are a little different. Here in Chicago, there’s nothing adventurous about the Holst and the Mozart, but I think they complement one another fairly well. I personally enjoy doing contemporary music, and I enjoy including contemporary music in programs. BD: Do you try to do as much contemporary music as you can? DR: I try to do that where I can. If I’ve established a relationship with an orchestra — which takes time — then I try to make that clear to the orchestra that I would like to come and bring a new piece, or bring something that is unfamiliar to the orchestra, or something unfamiliar to the public. I feel that we all share the responsibility of giving that music a hearing. It is not necessarily just having the distance from the music that is being written, or even things from the last twenty or thirty years, but giving that music a chance to be heard by various people. BD: What advice do you have for some of the composers who write for the orchestra? DR: [Thinks a moment] Of course it’s important to know about and every instrument for which you write. It’s also important that the characteristics of instruments are respected. They’re all extremely idiosyncratic. One thing that turns off an orchestra is the feeling that every instrument — high, low, soft, loud — has been turned into a percussion instrument. This is ultimately disrespectful, and the glorious Technicolor of an orchestra in its multifarious sounds — which gives it its unique quality — is turned into black and white. I know that just from my own experience of having done a lot of contemporary music in Europe. Sometimes with the best intentions in the world, a composer will write a piece where, basically, the strings are not going to comply with the wishes of the composer. Otherwise they’re going to damage their bows, or else they’re actually damage very, very expensive instruments. That may sound rather specific, but it does happen, and that’s what I mean. The orchestra is remarkable instrument to play on. It is the best console in the world, but it has to not only have to do with knowledge, but respect for the players who want to give their best and want to feel that a flute is doing to do what a flute is best at doing! BD: Does this advice stay the same or change for writing an opera? DR: This advice stays much the same. Singers have learned to sing, and to sing one has to know that in conveying text, or in conveying emotion, it should be singable. It should not be at the extremes of the voice, when either you are going to do damage to the voice, or there is no way in which the meaning of a text can be conveyed by somebody who is shouting. I don’t mean to say that it all has to be gloriously melodic and the extremes have been ironed out. Then we wouldn’t have operas like Wozzeck or Elektra or, even Fidelio, for goodness sake! It has to be not only based in knowledge, but also in respect for the human voice, and also for the fact that if you want a human voice to compete with an orchestra of ninety players, then do something to make sure that the voice doesn’t compete, but can add to, can embellish on, so that it doesn’t have to fight. It sounds extraordinarily conservative when I put it this way, but to write for the human voice and to write a good opera, one just has to look at the great operas. Look at a Figaro; look at a Rosenkavalier. I come here in Chicago fresh from the experience having done a Rosenkavalier in Berlin, and I know myself that one of the biggest challenges of that piece is just doing it the way it’s written. Richard Strauss himself said, “If people would just do what I’ve written, there are no problems with the voices!” He is absolutely right, which is not to say that I did it perfectly, or I didn’t have problems with the singers. Getting an orchestra to play that way is the challenge. But go to that score and you’ll see how you write for voice, and how you can give the impression that an orchestra is playing full out, and nevertheless the voice soars over it. BD: What advice do you have for someone who wants to conduct — besides follow the instructions? DR: [Thinks a moment] My goodness! Patience. BD: Patience with yourself, or patience with the music, or patience with the orchestra? Or all of those? DR: All of those. Patience with yourself, patience with the profession, just an awareness. I don’t think it is an historical aberration that conductors do tend to live a little longer than most people. You have a lot of time, so don’t seek the spotlights straight away. It may go well, but a lot of your most important work will be done quietly, out of the spotlight because so much of the work you do is not only on the music but is on yourself. It is on finding the best way of communicating your wishes to singers, to orchestras, to whomever, with the most economical means possible. It’s like riding a bike... you can read all the manuals you like, but you’ve got to get on a bike, and you have to fall off a few times, but hopefully not too often! This is not getting out of the spotlight, but just appreciating the fact that it’s one of the few professions that you can enjoy a fifteen year or even a twenty year apprenticeship, and in that time you can amass so much experience and so much knowledge. This is not to say it’ll work every time. It’s certainly not a recipe. A lot of luck goes into that too, being in the right place at the right time, but that is what I mean by patience; working on yourself, taking criticism, listening to orchestral players. Of course there are people who will regard the conductor as the natural enemy of the orchestra! There are a few colleagues in the past who have given conductors their reputation of being little dictators, but there are many who are certainly not dictatorial, particularly with good orchestras. Very well-meaning orchestra players who will come and tell you. I know what happened to me. First I was mortified until a little later on I realized they’re right! They told me my gestures were too big and my impulse was too fast. Orchestral members ultimately bring your hand down from behind your head and down to your stomach. That’s what a conductor sounds like. There are more musical sounds in the world. An orchestra is your instrument, and they want to play the best they can. You have to encourage them to do that, and if they have some advice, take it! BD: Have you come in for more than your share of criticism because you hold the baton in your left hand? DR: [Laughs] I must say, I’ve been lucky. I haven’t encountered criticism in that sense. Perhaps there’s a lot muffled criticism going on between stand partners, but many singers with whom I’ve worked for a long time still haven’t noticed it. Orchestras are extremely understanding, though there’ll be the initial whisper, which goes around the orchestra. It’s a little bit like in school, when nobody really wants to be too loud, but you catch snatches of ‘southpaw’ and what have you. But, on the second beat it’s like a mirror image. Well, touch wood, no orchestra has ever actually said, “Look, this is very hard to follow.” If you’re clear, after a while people get used to it. BD: Would it not have been to your advantage, though, to make the change early and put the baton in your right hand? DR: No, because that implies it’s almost a willful decision to conduct with the left or right hand, whereas it is a biologically determined decision made by your brain. The very fact is that the left and right side of the brain corresponds to whether you’re left-handed or right-handed, and there are a few conductors who are left-handed who have been forced to conduct with their right hand, and I maintain you can see that. It is not natural. That is not to put them down, it’s just to maintain that it is a physical genetic property of a human being to be left- or right-handed. In Germany for a long, long time — I think even today — the conducting professors will not only encourage you, but virtually force you to conduct with your right hand. BD: I’m surprised you got away with it. BD: ...and it’s still working! DR: [Bursts out laughing] It’s still working! BD: I’m surprised you didn’t become a music engraver because everything there is mirror image! DR: Oh, that’s true! Yes, well, perhaps I will do that when this doesn’t work! BD: [Nearing the end of our conversation, we did a bit of technical business. He recorded a Station Break for WNIB, Classical 97 in Chicago, and I asked his birthdate for my records (November 16, 1954).] Are you at the point in your career that you want to be at this age? DR: [Thinks a moment] I’ll be quite frank... I’m further than I thought I’d be at this age, and I’ve been very lucky. I’ve been incredibly privileged to do what I do. It was a thought that went through my mind, actually, “Wow, here I am just having turned 40, and I am standing here conducting the Chicago Symphony!” It’s gone fast, and I’m anxious that it shouldn’t be too fast, and I am in a position now to choose. What is terribly important to me is my marriage. We have a wonderful life together, Elizabeth and I, and that is ultimately the most important thing for me. I’m very fortunate to be now in a position where I can adjust my schedule according to us. At the end of October, there will be an addition, we hope, to the family, so this also is the perspective, the priorities. But I’m very happy to be as far as I am. I didn’t think it could be quite this fast, and I hope this is not the calm before the storm! DR: It’s the greatest, despite all the terrifying moments, particularly as a guest conductor, when you don’t know the orchestra and they don’t know you. You don’t know if it’ll work, you’re not sure what you should rehearse. You know what you’d like to rehearse, but you don’t know if you’ll hit on sympathies or empathy or resistance, or whatever. When it comes to the concert, when it works and when you’re performing that music, I don’t think there’s any more satisfying job or career in the world because you’re re-creating genius. You’re re-creating works of composers that are the best examples of humanity, and the human mind, and what can happen with the human spirit. We’re in a position for a short while of being a mouthpiece of that, and I can’t imagine anything greater. BD: Thank you for coming to Chicago. I hope you’ll return. This conversation was recorded in Chicago on May 1, 1995. Portions were broadcast on WNIB in 1998 and 1999. This transcription was made in 2016, and posted on this website at that time. My thanks to British soprano Una Barry for her help in preparing this website presentation.